New Mexico is joining the GMO labeling fight. 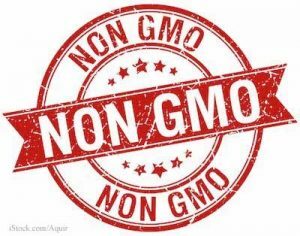 A bill that would require labels for any foods, drink, chewing gum, and pet foods containing genetically modified ingredients has been pre-filed in the New Mexico state senate by Senator Peter Wirth (D-Santa Fe-25). Senate Bill 18 would apply to any food that contains more than 1% of a GMO material. That state joins Washington state, which has submitted an initiative mandating labeling with the Washington state legislature, and Oregon, which plans to launch an initiative this summer to go on the November ballot. Proposition 37 was defeated in California last year after opponents spent millions of dollars on a “No on 37” campaign. The bill states that “the information [on the label] shall be displayed in a manner that is conspicuous and easily understandable to consumers.” The state’s environmental improvement board will establish standards for measuring the amount of GMOs in food. The bill is an amendment to the New Mexico Food Act. Democrats hold a majority in both the House and the Senate in new Mexico, but the Governor is a Republican. The group “Yes on 37” states that these measures aren’t a referendum on whether or not genetically engineered foods are modified or safe. They say that consumers have a right to know what’s in the food they buy, a stance echoed by Dr. Ted Labuza, Food Professor Emeritus at the University of Minnesota. He is a firm believer that labels should state clearly what the food contains so consumers can make informed choices.